Jennifer Lawrence gives the spy genre a whole new spin as she stars in her most badass, highly-sensual and R-rated movie “Red Sparrow” that will open February 28 in cinemas (rated R-16 in PH). 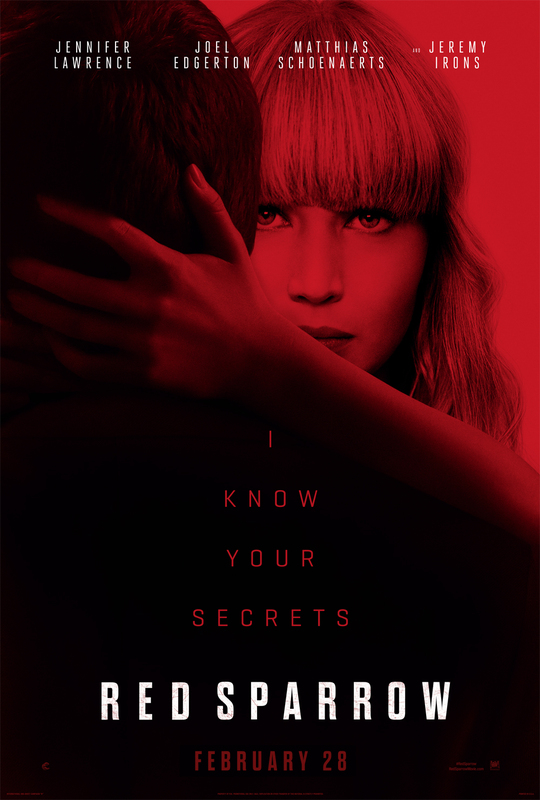 Directed by Francis Lawrence (who also directed Jennifer Lawrence in the worldwide box-office “Hunger Games” films), “Red Sparrow” is based on the novel of Jason Matthews, a former CIA operative that also stars Joel Edgerton, Matthias Schoenaerts, Charlotte Rampling, Joely Richardson, Mary-Louise Parker and Jeremy Irons. “Red Sparrow” trails the journey of prima ballerina Dominika Egorova (Lawrence) as she faces a bleak and uncertain future after she suffers an injury that ends her career. She soon turns to Sparrow School, a secret intelligence service that trains exceptional young people to use their minds and bodies as weapons. In the Sparrow School, the trainees undergo a merciless program that turns them into intelligent killing machines. Egorova soon emerges as the most dangerous Sparrow after completing the sadistic training process. As she comes to terms with her new abilities, Dominika meets CIA agent Nathaniel Nash (Joel Edgerton) who tries to convince her that he is the only person she can trust. “Dominika is a fascinating character, fiercely intelligent. She’s forced into a program that trains in espionage. She turns the tables, her mind is fascinating. She’s ten steps ahead with everybody who’s trying to use her, and it’s this moment where she gains power,” says Lawrence of her role. The movie’s most brutal and sexiest thrilling spins takes the spy genre a notch higher as director Lawrence vouches that the movie is a very different kind of spy film. 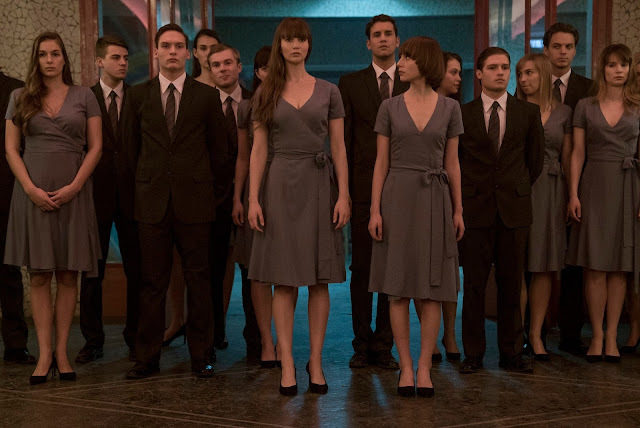 “Red Sparrow” delivers the biggest thrills this year with its hard R, perverse and intriguing journey of the most lethal spy the Sparrow School has ever created. “This is a thriller, it’s not action, again it’s not gadgety. When we started working on the story, I fell in love with it because I fell in love with the story of the girl in the movie. I fell in love with the character, I fell in love with her dilemma, and I fell in love with how she deals with that dilemma. I’m really attracted to stories about isolated, quite lonely characters, and that’s what pulled me in. Topically and thematically, the Cold War, when we started the project, was sort of irrelevant. That wasn’t back in the news in the way that it is now,” shares the director. Check trailer below on how to become a Sparrow - Sparrow School. “Red Sparrow” opens February 28 in cinemas nationwide from 20th Century Fox.